A century ago, many countries had to deal with the onset of World War I which was supposed to be the war to end all wars. Yet, a few years later, the reality of World War II ravaged again many people’s lives, as it devastated their motherland, their homes and their existence. 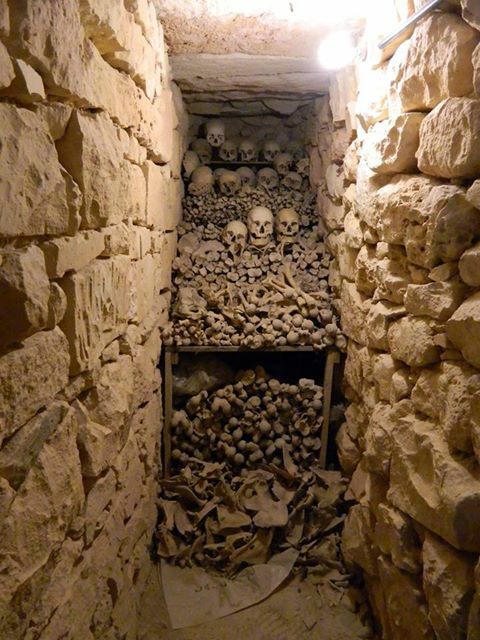 Today, these poignant episodes are recorded in various museums around the world, including the National War Museum in Valletta, wherein one finds several objects which recall these dark periods. However a visit to this museum will reveal that its exhibits are witness to more than that, since they also display how people confronted and survived these crucial moments, and how the ugliness of war never stopped their urge to live and to love. 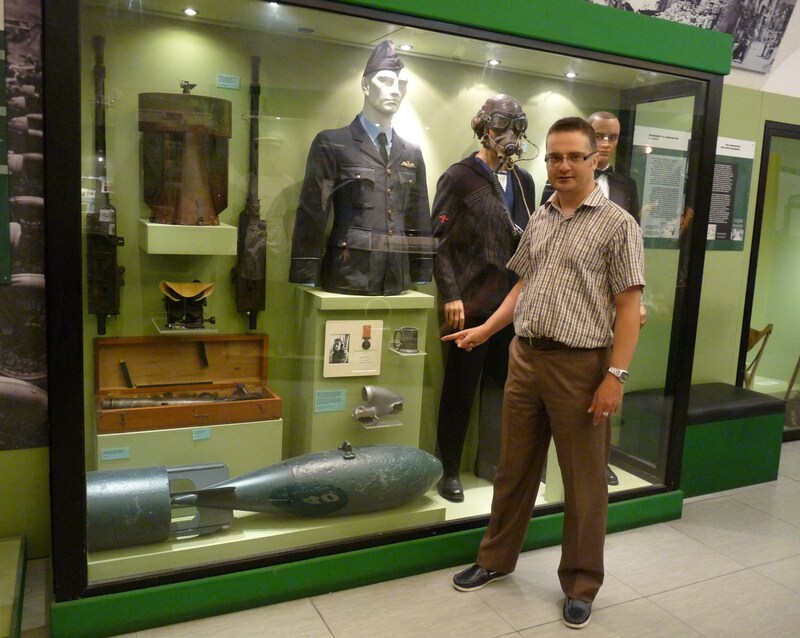 During a recent visit to this museum wherein I was accompanied by Curator Charles Debono, I discovered how five particular items – a British Empire Medal, an RAF side cap, a uniform jacket, a tankard won at a sports event, and part of a manifold of a P38 Lightning aircraft – formed part of a fantastic narrative relating to a famous English couple who met in Malta and were united and separated by war. 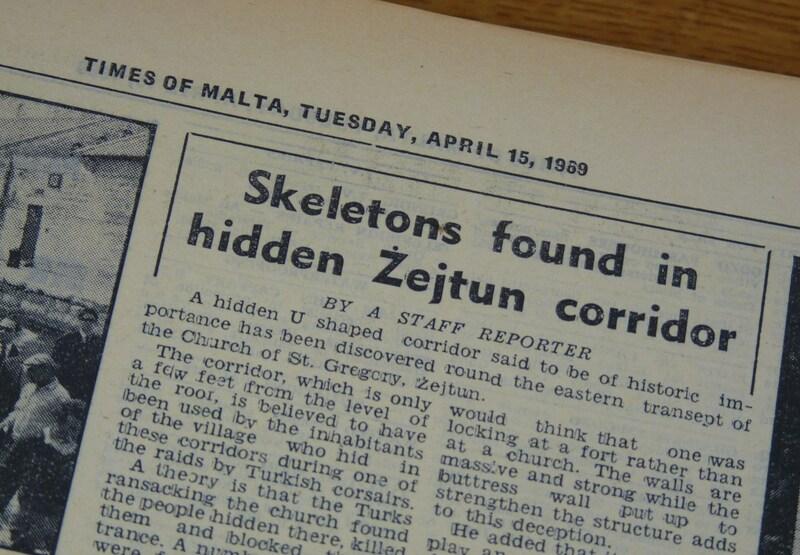 Indeed, as I followed the story of the legendary Wg Cdr Adrian Warburton and his lover Christina Ratcliffe, I was whirled back in the 1940s; a time when both the Maltese islands and their inhabitants were pushed to their limits and heroes were borne. Adrian Warburton was born in Middlesborough on March, 10, 1918, but his father Geoffrey, a young submarine commander who had been awarded the prestigious Distinguished Service Order, decided to christen him in a submarine which was berthed in Malta. Apparently, a good number of Warburton’s family members were renowned for their eccentric behaviour, particularly where war was concerned, and as Tony Spooner said in his book Warburton’s War, “DSO’s were fairly commonplace in the family”. 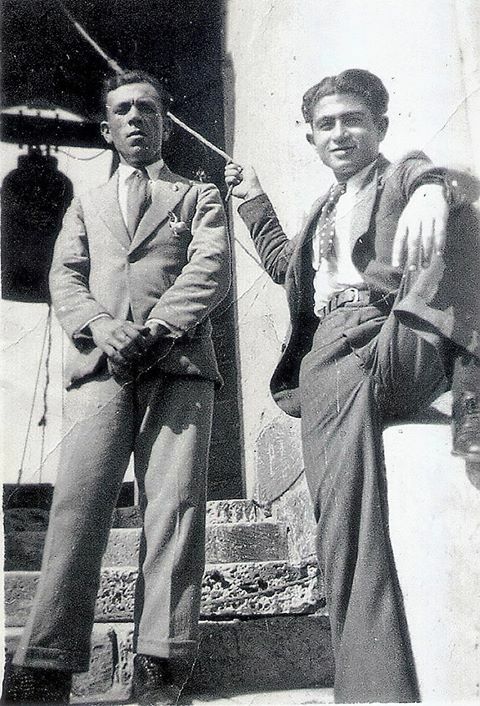 In fact, during his brief life, even Adrian received this honour twice: one of which was awarded to him for his bravery when flying very low among the Italian battleships and cruisers in Taranto in order to read their names, after the cameras failed to work during a reconnaissance mission. This information enabled the Fleet Air Arm to dispatch an effective attack on the enemy later on that night. 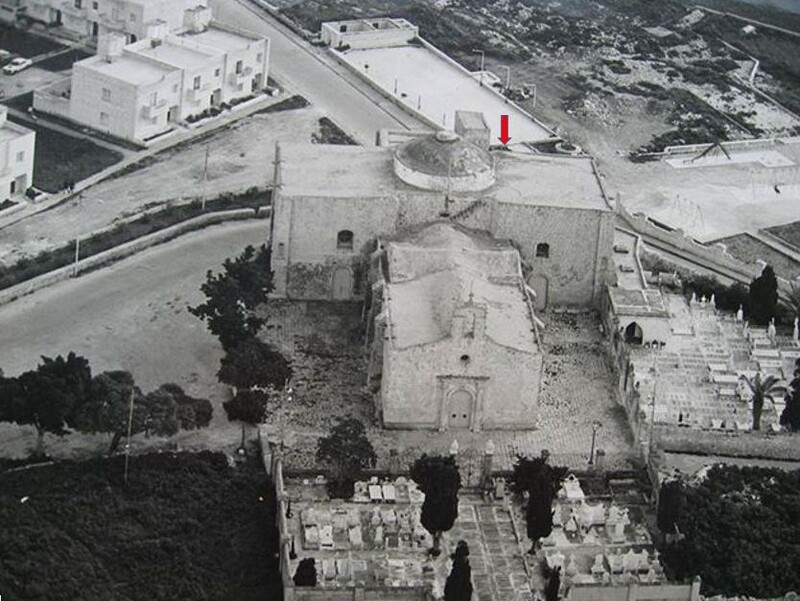 It was on September, 6, 1940 that Warburton arrived in Luqa airfield after he was transferred on duty to Malta. Soon he distinguished himself for his fearless attitude such as when he and his two crewmen shot down an Italian Z.506B seaplane when they were only expected to shoot some photos. His love story with Christina Ratcliffe took place after she was stranded in Malta, when Italy declared war on Britain and France on 10th June 1940. 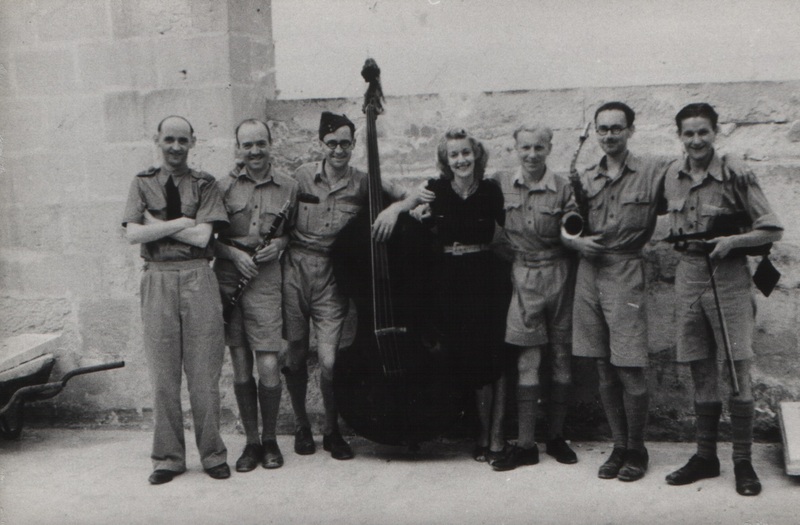 She had come to our islands together with her group in order to perform as a cabaret dancer but when they found themselves unemployed, these artists set up an ensemble which they called the Whizz Bangs and provided entertainment for the troops. During her stay on the island, Ratcliffe made friends with a French pilot, Jacques Mehouas, who often spoke to her about Warburton and described him as a brave and formidable British pilot. Ironically, it was his death which brought them together, when Warburton, who was also a friend of his, approached her to give her his condolences. Ratcliffe considered this first encounter as love at first sight since in her later writings she admitted that with his golden hair and his beautiful blue eyes, Warburton resembled a Greek god. 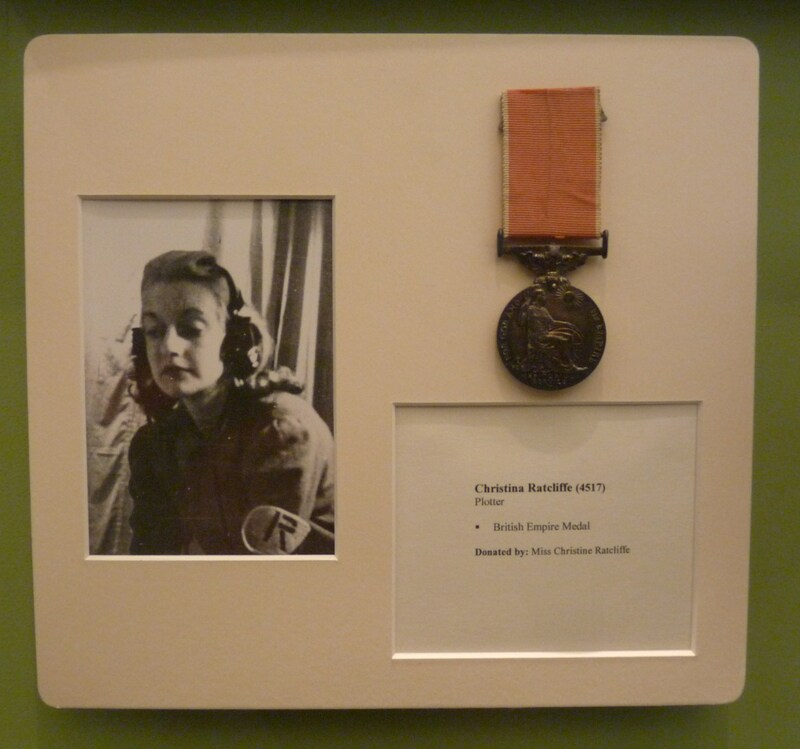 In fact, besides working as an entertainer, after some time, Christina volunteered to work with the RAF as a telephonist and later as a plotter at the underground War Headquarters in Valletta. She was eventually appointed Captain of D Watch and then became assistant to the Controller, thus having to abandon the Whizz Bangs group. This love story came to an abrupt end when on April 12, 1944, Warburton was sent on a reconnaissance mission during which he was supposed to take some photos over Germany, but he never returned. At first his disappearance was not given much importance because workmates, friends and even Ratcliffe were expecting him to return like he always did before. Yet by time, this matter became riddled with speculation as people started to question whether he had committed suicide or whether he had simply left his girlfriend and started a new affair. After this incident, Ratcliffe changed drastically. 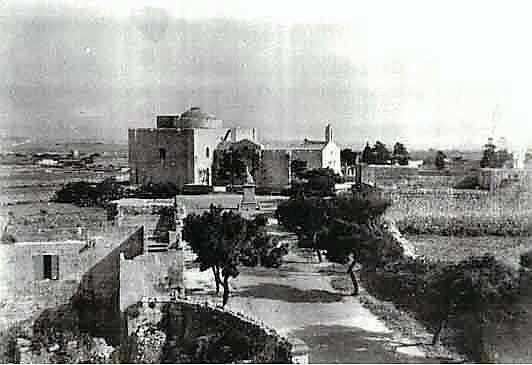 Her neighbours recall that she became a recluse, preferring to live in isolation in her apartment at 7/3, Vilhena Terrace, Vilhena Street, Floriana, and forever waiting for her Warby to return to her. In his book Women of Malta, Frederick R Galea, states that “her last few years were unhappy ones, trying to drown her loneliness in alcohol; she became withdrawn and impoverished.” Certainly this was a pitiful end to a woman who in 1943 was awarded the British Empire Medal in recognition of her work during World War II. During her lifetime, Ratcliffe donated this medal together with the uniform and the tankard which belonged to her beloved Warburton, to the National War Museum in Valletta. It was finally in 2002 when Warburton’s fate was identified, after Frank Dorber, a Welsh aviation researcher, discovered his remains in the cockpit of his wrecked plane, buried about two metres deep in a field near the Bavarian village of Egling an der Paar, 34 miles west of Munich. 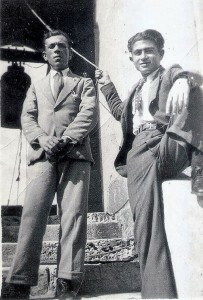 An examination of his aircraft showed that one of the propellers had bullet holes in it, thus indicating that Warburton had been shot down. 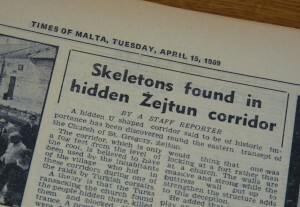 Part of this plane was donated to the National War Museum in Valletta and now forms part of the exhibits which reflect this story. Meanwhile, according to Commonwealth regulations, Warburton was given a formal funeral on May 14, 2003 and he was buried at the Durnbach Commonwealth War Cemetery. Curiously, this ceremony was attended also by his wife Eileen whom many believed to have been dead. 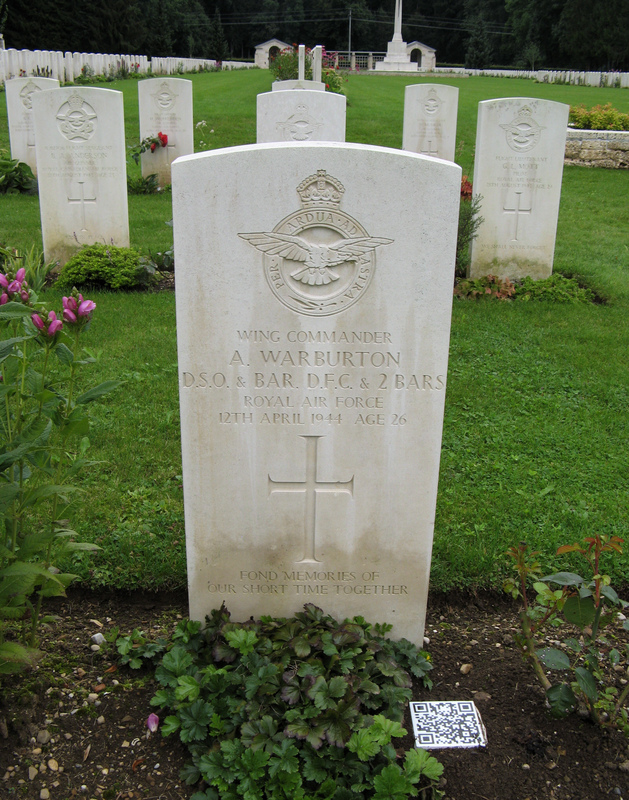 After Warburton was found and buried, many sympathizers of the couple Warburton – Ratcliffe demanded whether it was time for these two lovers to be re-united, even if after death? But where is Ratcliffe? 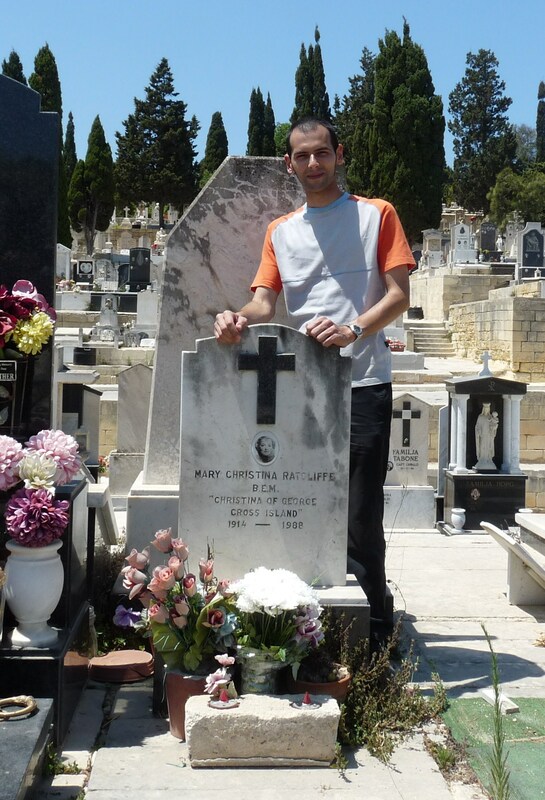 A visit to the Addolorata cemetery in Paola where I was accompanied by Eman Bonnici, who is the cemetery’s assistant librarian and a researcher of this site, led me to the resting place of ‘Christina of George Cross Island’. He explained to me that the cemetery’s records show that Ratcliffe was originally buried in the common area of the Commonwealth section in 1988. 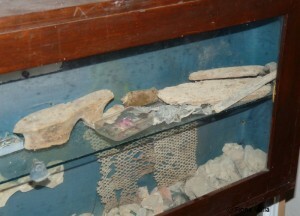 According to a grave-digger from Floriana, Ratcliffe had become so poor that the neighbours had collected the necessary funds to provide her with a proper burial. Then, in 1991, an individual bearing the surname Ratcliffe, bought a grave for her so that her remains will not be lost in the common ossuary. This grave, marked no. 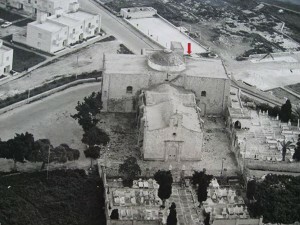 4, is situated in the East Division, Section MA-D. Bonnici informed me that Ratcliffe’s grave is regularly visited by foreigners, particularly from England and Scotland, who come to this cemetery in order to pay their tribute to a heroine of such a turbulent but fascinating love affair.